First introduced in a “very quiet mall” in Davao City in December 2017, Maxi Mango now has seven branches nationwide, with one set to open before the end of the year. As a young girl, Michelle Arceo-Velasquez wasn’t sure what she wanted to become when she grew up. “I've never known what I've wanted to be. That's the thing with me,” she said matter-of-factly. Although she enjoyed writing when she was younger, Arceo-Velasquez ended up with a nursing degree in college. She worked as a caregiver in the United Kingdom for three years and she also worked as a call center agent. Ever so scrappy and adventurous, she even became a housemate in the hit Philippine reality TV show Pinoy Big Brother (PBB) Teen Edition Season 1 that aired on ABS-CBN. Now that she’s 31 years old, Arceo-Velasquez, who’s also fondly known as Miki, is now a budding entrepreneur. “We fell into this, and I'm happy that I'm here,” she said. Maxi Mango is the brainchild of Arceo-Velasquez and her husband Ivan, which they started conceptualizing in 2017. 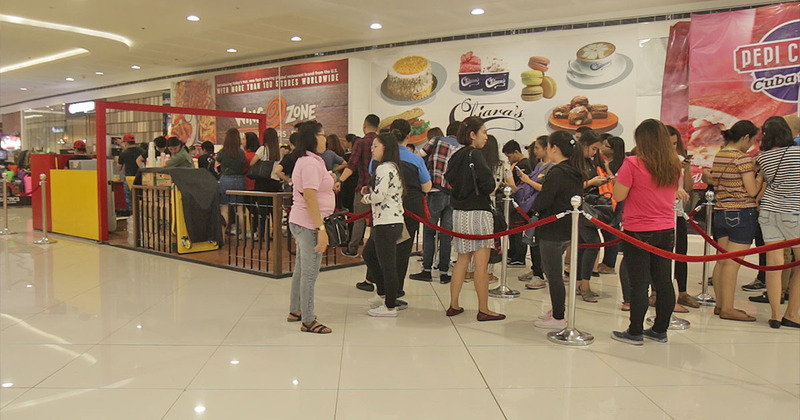 It has attracted a lot of buzz lately, especially in social media, due to the long lines of customers waiting for either a cup of mango float or mango-flavored soft serve ice cream—or both. Despite having only two products in their menu, the longest time a customer lined up was 4.5 hours, Arceo-Velasquez said. But before they started hitting it big with the mango soft-serve brand, they also had a few misses in the early years of their entrepreneurial journey. The couple, who were also high school sweethearts, ventured into small businesses right after arriving back in the country. Ivan spent a total of eight years in the UK and Arceo-Velasquez joined him for the last three years. They got married and had their first child there, but decided to come home in 2013 to better look after their first son, Andy, since their hectic schedules abroad prevented them from doing so. They franchised a soft-serve ice cream stall and opened a branch each in two different malls in Davao, which they funded out of their savings. They also opened a small neighborhood bakery near where they lived in city. The businesses went smoothly for the first two years. Although the business didn’t really exceed their expectations, they earned enough to cover their everyday expenses plus build a modest savings fund. But in 2015, everything started to crumble, causing the shutdown of one of the soft-serve branches. Arceo-Velasquez even recounted having to live at the back of their bakery with the three of them sharing a bunk bed, because they couldn’t afford monthly rent anymore. That same year, they also welcomed their second son Max, after whom Maxi Mango was named. “I'm never going to forget that I apologized to him even though he was still a baby. I told him, ‘This is the life that I brought you into. It’s a very bad life’,” Arceo-Velasquez said. But the couple remained resilient. Instead of giving up on their business ventures, they decided to take one more gamble in 2017. “By March of 2017, the Food Truck Festival became popular in Davao,” Arceo-Velasquez shared. The Food Truck Festival was a giant outdoor food bazaar filled with 80 exhibitors, each with their own 10x10-square-foot tent. She said the four-day event was a massive success. “That's where we gained our footing again for financial stability. That's how we were able to conceptualize Maxi Mango later that year. So I'm actually really thankful, I feel like I owe a lot to the bazaar organizers in Davao,” she added. Since then, the couple tried bringing their soft serve franchise in bazaars, hauling all the ingredients—nuts, chocolates, fruits—every time they had to do pop-up stores. Realizing how troublesome the whole process can get, they thought of creating a simplified version of the product, focusing on just one core ingredient: mangoes. Thus, the birth of Maxi Mango. Maxi Mango was first introduced in Felcris Centrale, a “very quiet mall” in Davao City in December 2017. Arceo-Velasquez admitted that they only joined the bazaar then despite the low foot traffic because they personally knew the organizers. It was the couple’s strategy to sell in bazaars, as they believed doing so would help them maintain low expenses while managing to introduce the brand to more people. “We had to (sell in bazaars). I couldn't afford to open a stall. 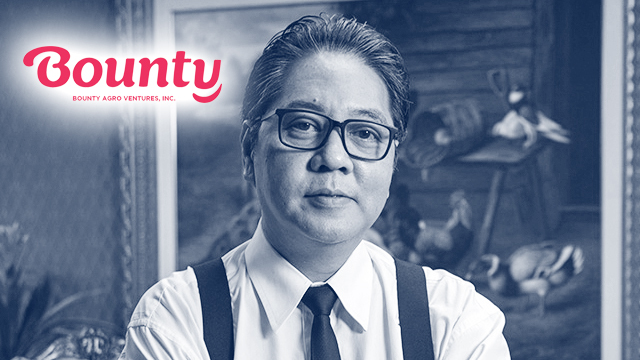 We were in a really bad place,” Arceo-Velasquez explained, saying that despite the disadvantage of constantly moving all the equipment, bazaars helped them introduce the brand to a new market each time. Realizing the potential of Maxi Mango, the couple decided to keep the ball rolling and signed up in more bazaars in the city. They kept doing this until the middle of 2018, during which they also started to expand to Manila. “I really make sure that there’s no gap in between (in doing bazaars). It's stressful, tiring, difficult, but it’s because I'm going to make sure that if I have competition, I'm not going to give them leeway to overtake me,” Arceo-Velasquez confidently said. And it seems nothing is stopping Maxi Mango’s expansion. In August 2018, the couple started taking the brand to bazaars in Metro Manila and has so far introduced it to mall goers in Glorietta in Makati, SM Mall of Asia in Pasay, EDSA Shangri-La in Mandaluyong, and Robinsons Galleria and TriNoma in Quezon City. Apart from introducing the brand to potential customers, Arceo-Velasquez also shared that another major reason they keep joining bazaars is to make mall leasing administrators notice them. And so far, the tactic has worked well. 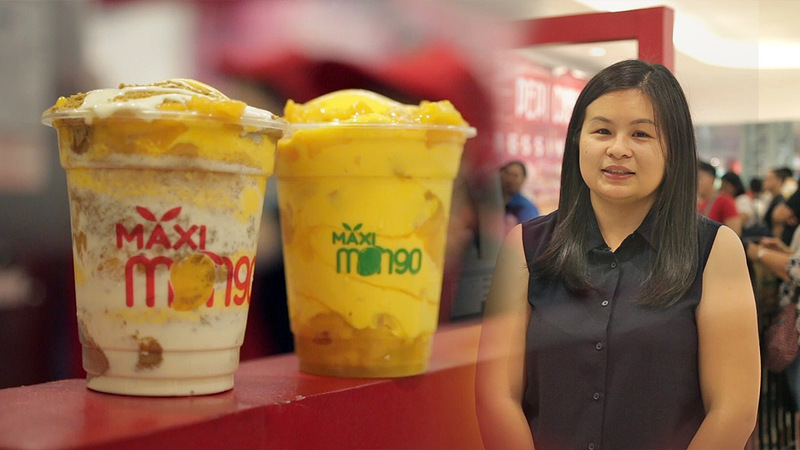 As of November, Maxi Mango already has eight operating standalone branches nationwide: Gaisano Mall of Tagum (Davao), Gaisano Mall of Davao, SM Mall of Asia, Robinsons Galleria, SM Cagayan de Oro, SM Bacoor (Cavite), UP Town Center and Gateway Mall (Quezon City)—a franchised store owned by local celebrity and Arceo-Velasquez’s co-PBB alumna Kim Chiu. These eight branches were all opened consecutively within three months, from September to November 2018. A branch in SM North EDSA is also set to open before the end of the year. The couple now plans to focus on opening more branches than doing bazaars, since Maxi Mango has already established a solid footing in malls, and quite a number of people have taken interest in franchising the brand. Arceo-Velasquez called Maxi Mango’s franchise program a "plug and play" system, where they would get everything ready—from uniforms to equipment—while the franchisees would just have to pay the corresponding fees. 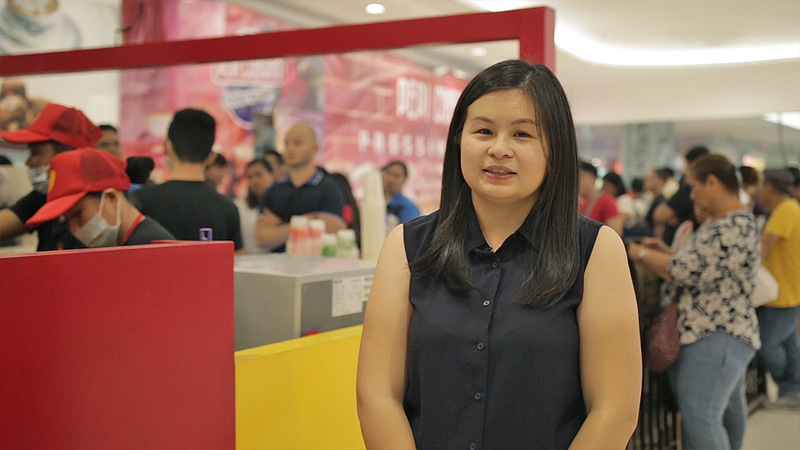 Though she refused to share Maxi Mango’s franchise cost, she said that the main equipment the stores use, a Taylor C706 professional ice cream machine, costs Php780,000. Despite its price tag, Arceo-Velasquez stands by the brand and even mentioned that popular food chains Jollibee, J.CO Donuts, McDonald’s and Bonchon Chicken all use Taylor’s ice cream machines. “The brand speaks for itself. Second best does not come anywhere close,” she said. 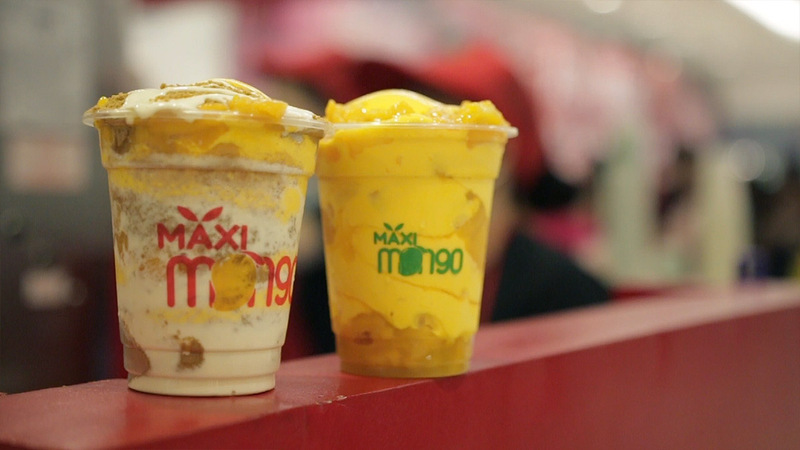 The couple also signed up with a research and development (R&D) company, which helped them customize their ingredients and create what Maxi Mango is today. They spent more than Php100,000 for this process, which makes up the bulk of their capital. “That's why I'm sort of confident that the copycats... they most likely can't chase me. It's going to be hard because R&D takes long and the capital needed for one ton of premix is quite a lot,” she said. By early next year, the couple also plans to launch different products outside of their usual mango soft serve and mango floats, a move that according to Arceo-Velasquez proves that the Maxi Mango craze is so much more than just a fad. “I'm so excited about our expanded menu. It's been in place for a while, actually, we just haven’t been able to release it since everything is still so hectic. But when this starts to quiet down, we're going to release it, maybe in early 2019,” she said. For someone who never really had a concrete plan on what career path to pursue in her life, Arceo-Velasquez seems to be doing quite well. 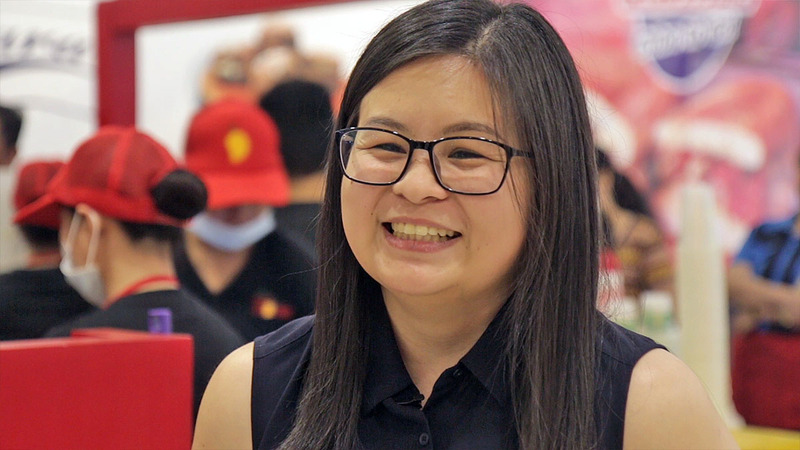 Though only personal circumstances led her to discovering her entrepreneurial skills, she said she has no plans of going back to the routine, 9-to-5 jobs she handled before.